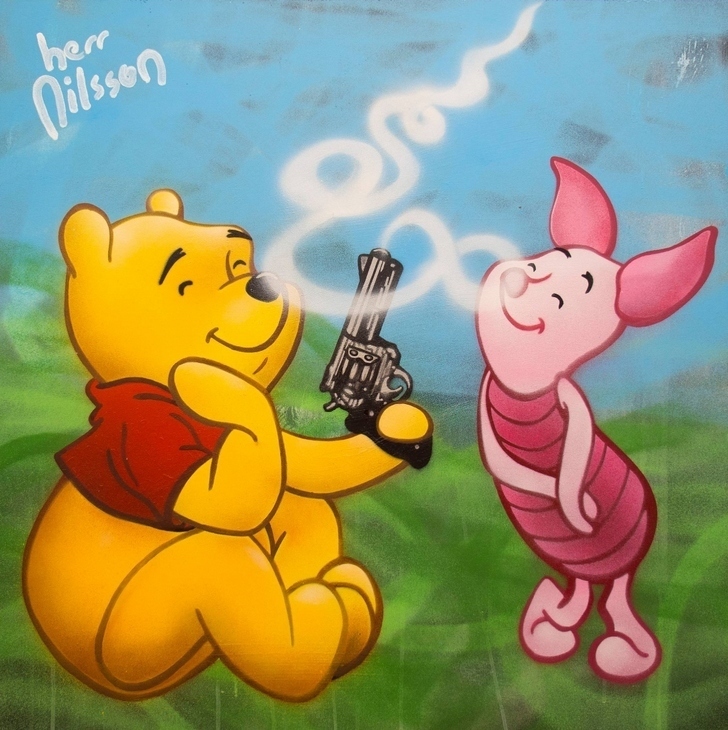 Winnie the Pooh seems to have become a spokesperson for gun ownership. Copyright Herr Nilsson. 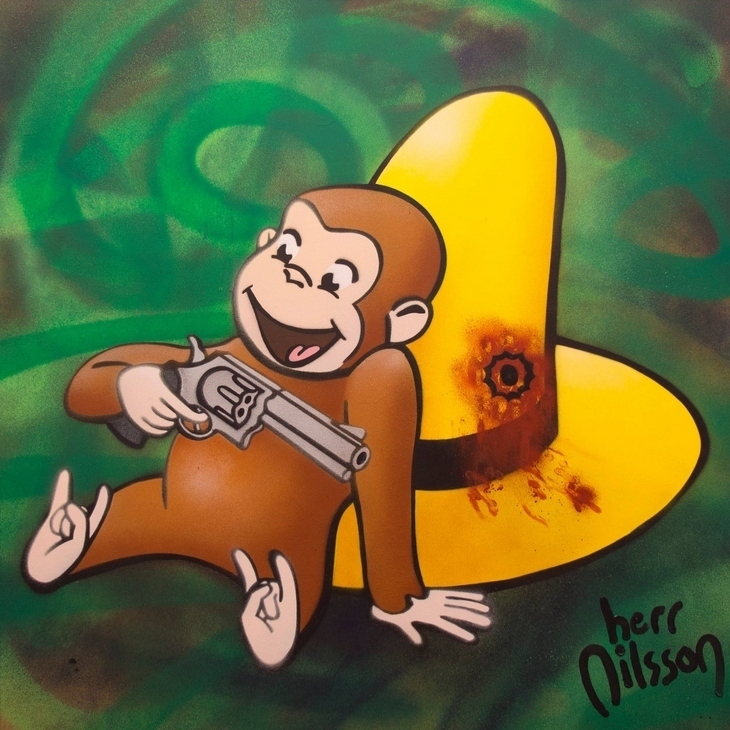 Swedish street artist Herr Nilsson likes to place innocent cartoon characters in dark situations, and this latest exhibition is no exception. 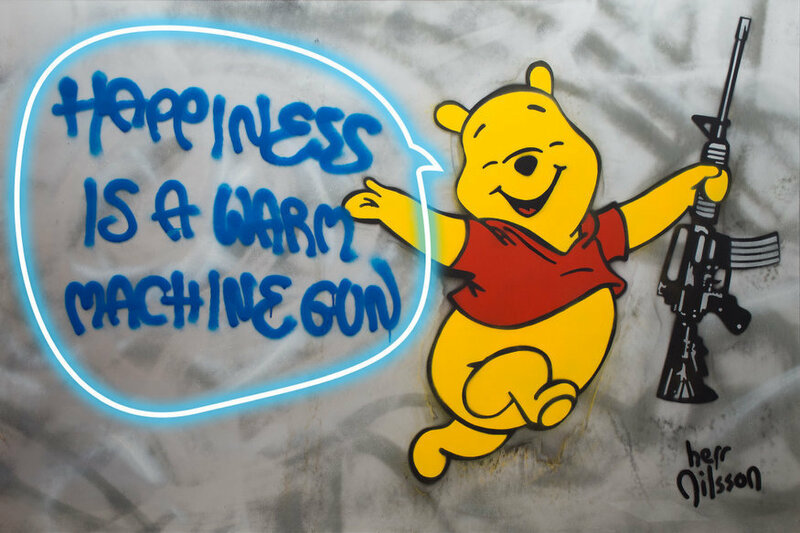 Whether it's Winnie the Pooh on drugs, Princess Elsa from Frozen as an anarchist or Curious George smiling, gun in hand, having shot his owner, the images turn our impressions of favourite childhood characters on their heads. 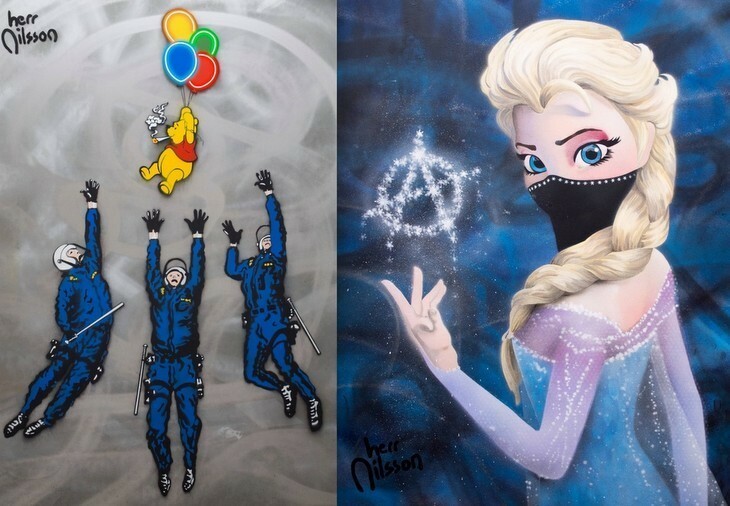 Winnie the Pooh escapes the police while Princess Elsa has turned to anarchy. Copyright Herr Nilsson. It's an obvious commentary on how everything is pure and innocent in cartoons, or how good and evil seems black and white in Disney, while in the real worlds it's not so clear cut. 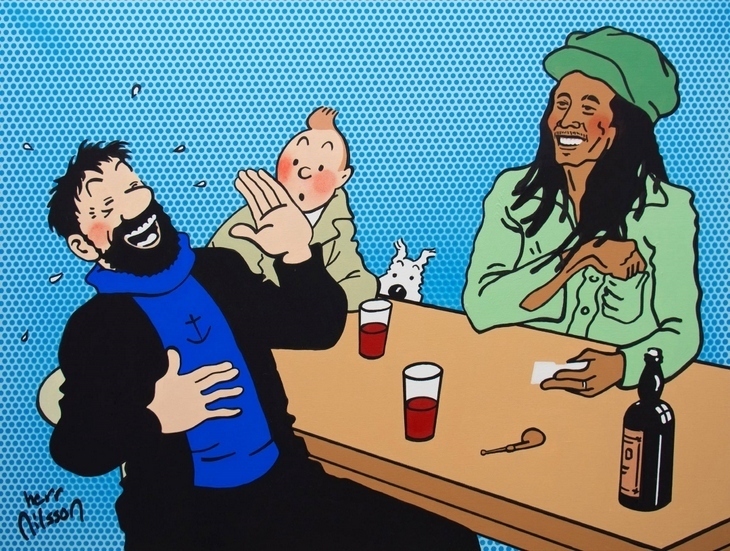 Most importantly, though, they are humorous works that play on how absurd these images are. Herr Nilsson: Fill the World with Sunshine has now been cancelled due to unforeseen circumstances. For more art see the nine exhibitions we're looking forward to in July.